…unless you have Why Windows 7 Won't Work On Intel's Current & Next Gen CPUs Why Windows 7 Won't Work On Intel's Current & Next Gen CPUs Microsoft doesn't want you to use old Windows versions on new hardware. Users on Intel Skylake processors won't receive updates for Windows 7 after July 2017. And next generation processors will be Windows 10 only. Read More a cutting-edge Intel Kaby Lake or AMD Ryzen processor in your machine. Users with those CPUs have stopped receiving all Windows updates on Windows 7 and 8.1, which is both an inconvenience and security risk. This is a controversial move that’s understandable on Microsoft’s part, but frustrating at the same time. Windows 7 could easily turn into another Windows XP situation, where people use the OS long after Microsoft abandons it. To circumvent this, Microsoft is slowly phasing support for Windows 7 from modern hardware. If you’re building a PC with the best components inside, it has to run Windows 10. Chances are if you’re building your own PC, you’ll put Windows 10 on it anyway. 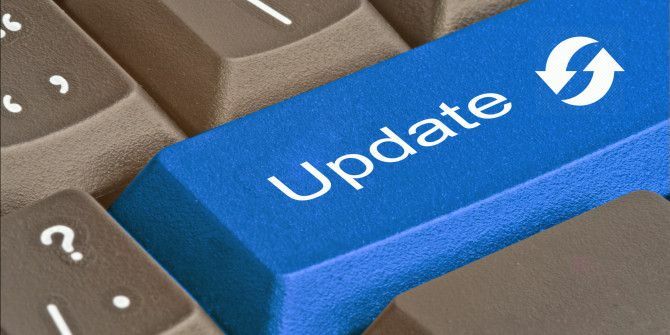 But in case you’re still using Windows 7 or 8.1 with a modern processor, you can use a third-party workaround to enable Windows Updates. GitHub user Zeffy has published a small patch that modifies a few system files on your machine to trick Windows into thinking that your CPU is still supported. You can find details on his research on the project page, but it just takes a simple install to fix the problem. He notes that you’ll have to run the patch every time the wuaueng.dll system file has an update. Also, making this change may trigger errors in the SFC command, since Windows will see the change to a system file as a problem. It stinks that Microsoft is cutting support for older operating systems on new machines before their support lifecycles end. While this will hopefully mean a quicker death for Windows 7 when the time comes, this workaround will suffice for now. If you’re still using Windows 7 or 8.1 on a modern system, you’re missing out. Check out the new Creators Update for Windows 10 A Peek Into the Windows 10 Creators Update A Peek Into the Windows 10 Creators Update Microsoft just announced the next major Windows 10 upgrade. The Creators Update will come to 400 million users in Spring 2017. Here are the highlights of Wednesday's Windows 10 event. Read More and all the cool features it offers. Did you notice that your Windows 7 or 8.1 system stopped receiving updates? Let us know if you’ll try this workaround or upgrade to Windows 10 down in the comments! Explore more about: CPU, Windows 7, Windows Update. Not using win10 proud of it. Not going to let Microsoft track me or know what I do or what I do in my life. I will stick with win 7 and Linux mint only. I am using windows 7 and I have Linux. I will not let Microsoft track me o. My own pc. but, have indeed noticed that win-7 is now very difficult to update now. ie: the updater just stalls, for ages and ages, and never actually updates anything. - nothing at all. . . . This is only supposed to affect Windows 7 on Kaby Lake (Intel) or Ryzen (AMD) processors (although a few other processors have known to be affected). The problem with Windows 7 getting slow updates is that the catalog (list of old updates) is getting HUGE, and you may have to wait for the catalog to download the updates list. There are guides (Google "windows 7 updates solved" to find one) that will fix the problem by either updating the Windows Update components, or run a Microsoft Fix-It to repair the system.